For sale are ten (10) S'mores SWAPs that are READY TO TRADE! 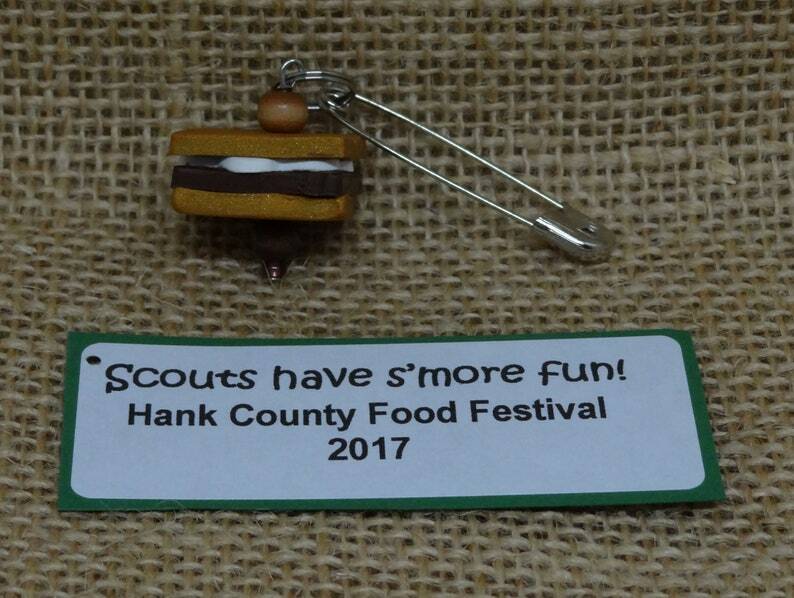 Scouts have s'more fun! Who doesn't love s'mores? Answer: NOBODY! Now you can have s'mores 24/7 in your SWAP collection. These handmade s'mores are molded from polymer clay and baked to harden. The dark chocolate clay and bright white marshmallow clay are sandwiched between two golden brown layers of graham cracker clay. Each s'more is accented with two coordinating, wood beads -- one on top and one on bottom. These SWAPs are handmade with mouth-watering love! There is no assembly required. They will arrive READY TO TRADE! Worried about buying pre-crafted SWAPs? Nobody will know but you! Take the stress-off, enjoy your SWAP event, and get lots of new ideas. You can make your own the next time! All SWAPs include FREE personalized tags. Send us a message with your desired text, and we'll take care of the rest! My daughter loves the SWAPS. She can’t wait to exchange them. This was the perfect back-to-school activity for my 1st grade Girl Scout troop. They all loved decorating it and adding to their backpack collection.